"I liked how positive she was. No matter what happened she was always, always positive," said Makena, age 10. The best type of Kryptonite against internet trolls is the enthusiasm and empowerment of young people. The unvarnished opinions of young viewers who haven't been corrupted by the cynism of the world wide web. At least not yet. During an early screening in Cathedral City, California, one month in advance of its debut on CBS, an audience of about 100 people including kids were treated to the pilot of 'Supergirl' and the response was overwhelmingly positive like Kara Zor-El herself. "I thought it was awesome. I loved it very, very much," said 11-year-old Makena Harding. Makena's response was typical from girls her age who saw the sceening. "I thought it was really, really cool. I can't wait to watch it again," said 10-year-old Alana Firman. The theme of empowerment and helping others was not lost on the young girls who more often than not are ignored when it comes to this new age of superheroes. 'Supergirl' represents the first solo female hero television series from Berlanti Productions who are responsible for bringing CW's line-up of 'Arrow,' 'The Flash,' and 'Legends of Tomorrow' to the screen. While those shows feature many dynamic and compelling women none have focused on someone as powerful as Superman's cousin. Based on the DC Comics character Kara Zor-El, after 12 years of keeping her powers a secret on Earth, decides to finally embrace her superhuman abilities and be the hero she was always meant to be. Twelve-year-old Kara escaped the doomed planet Krypton and was raised on Earth by her foster family, the Danvers. At 24, Kara lives in National City assisting media mogul and fierce taskmaster Cat Grant. Though Kara will need to find a way to manage her newfound empowerment with her very human relationships, her heart soars as she takes to the skies as Supergirl to fight crime. The screening was made possible because so many of the parents of the show's creators happen to live in the desert community of the Coachella Valley, 115 miles east of Los Angeles. "There's only one executive producer whose parents aren't here," said Valerie Schechter, parent of executive producer Sarah Schechter. If this screening of 'Supergirl' was any indication of its future success it's already making the right impression. "I'd watch it a million times because it's just talking about how girls can do anything anyone else can," said Firman. "I don't care what kind of super power I'd have. I would just like to help people. It just makes me really happy when I help people." 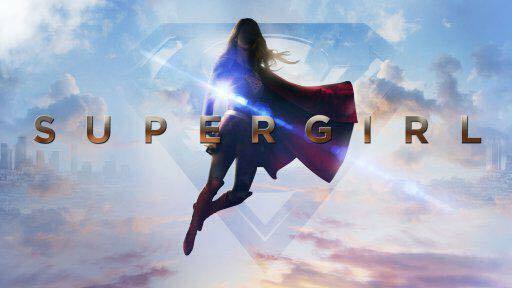 "Supergirl" premieres Monday, October 26 at 8:30 p.m. on CBS.